Does SERP CTR affect rankings? Back in 2014, Moz's Rand Fishkin ran a CTR case study which moved his site from #7 to #1 in less than 3 hours by sending clicks to his SERPs. These were real people, making real clicks. This was the first proof that SERP CTR was a factor that could heavily move the SERPs. Okay, so how do I increase SERP CTR? It's not always easy to increase your CTR. You can make meta tag changes to increase CTR, but after that, you're at a dead end, until now. We invented a crowd-sourced searching platform where website owners can pay our pool of our clickers to search their keyword and visit their website, driving organic traffic which boosts your CTR. We track all clicks through our browser extension. Each clicker earns a small pay per click, based on the country of their IP address. American clickers are paid the most, while Bangladesh clickers are paid the least. We simply connect webmasters with crowds of clickers through our system. Every month, we send out thousands of dollars to our pool of clickers. Each clicker earns based on how many searches they've made. We handle it all. 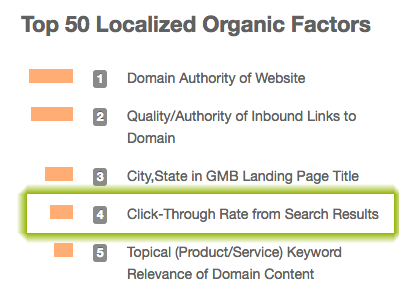 So, who's studying SEPR CTR ranking patterns? These numbers are merely estimates based on average click-through rates for different positions on Google. They are provided for planning purposes only and assume that the SerpClix service is complemented with a normal on-site and off-site search engine optimization approach. There are no guarantees in SEO, and you certainly won't find any here. [+] What kind of sites can benefit from this the most? SerpClix can only be used on sites ranking in the top 100 results. Keywords that receive a low search count but are lucrative to rank for will have the most benefit. Keywords like "New York City injury lawyer" have a low search count but a very high commercial intent. Long tail keywords have seen great results. [+] What does it cost a buyer? Buyers subscribe to a credit plan that allows them to use a sum of credits each month. Each click uses a fixed amount of credits, based on the country the click comes from. For example, an All Country click may cost 9 credits, which may cost around $0.14 - $0.22 depending on what level of credit plan you choose. We pay the clickers out of this amount, and use the rest to fund our operations. To see all the pricing plans and the list of available countries, please register an account and you'll be prompted with options. [+] How long will this method work for? While backlinks and content remain the dominant factor in SEO, over the past couple of years Google has slowly been moving towards user feedback signals like engagement, retention and bounce rates. This signal is still relatively new, so there's plenty of time to take advantage of it. Google will continue to move away from external signals like backlinks and move more to user experience signals. This has already been done with YouTube (viewer retention, etc) and they've moved that same thought over to Google. Remember how YouTube videos used to be ranked based on thumbs up, view count and comments? Now it's all about user experience. If someone leaves the video instantly, it ranks lower. If they watch the full view, it ranks higher. The same things are being applied in the SERPs and SerpClix is here to help. [+] How many clicks do I need? How many clicks you need depends on how many monthly searches your keyword gets, what position you are at and what position you are aiming for. First, you can get the CTR for each position by searching Google, or use the chart below for one from Moz.com. Calculate the percentage difference between the CTR of your current position on the first page of Google, and the target position on the first page of Google. For example, if you are 5th and you are looking to try to move to 2nd right now, that's 14% - 6% which is 8%. Bump this figure up just a bit to be safe, as our monthly search count will increase from the clicks that we send, so call it 10% in our example. Next, we simply multiply our percentage above with the monthly search count, and that's the approximate number of clicks that you need. For our example, lets use 1000 monthly searches, so 1000 * 10% = 100 clicks. So we need 100 clicks from SERPClix every month. [+] What do users do exactly? What is their behavior? Users type in your keyword manually on Google in a natural way. Then they scroll down and navigate pages until they find your site. They click to visit, once on the site, they scroll up and down, some click to go in inner pages, some don't. None of them ever click the back button. After 30-60 seconds, they exit the tab. [+] Why is SerpClix better than the competitors on the market? SerpClix is the only option on the market that sends real clickers to your website. We now have a pool of over 15,000 clickers who we pay individually every month for their time. There are no other systems that offer this amazing and complex crowd-sourced system. [+] Why don't automated clicks work? SerpClix uses real clicks because automated clicks through proxies do not show results. Public proxies are always detectable by Google. On the other hand, private proxies do not have enough of a random IP address range. Additionally, PhantomJS and other popular headless browsers leave footprints that are very difficult to cover and as an experienced developer, I wouldn't trust anyone who thinks they beat Google. Additionally, in the Summer of 2014, our founder confirmed proxied clicks did not work with a system he built, and a year later, began building SerpClix to send real clicks. [+] What countries do you offer traffic from? SerpClix offers a number of tiers including United States, Canada, United Kingdom, Australia and Germany. We also sometimes have other countries, based on the amount of clickers we have from that country. We also have a worldwide tier that offers clicks arbitrarily from all countries. [+] Does your traffic appear on Google Analytics and Webmaster Tools? Yes. Since our traffic is real people, our traffic appears in all traffic analytics. [+] Are these actually real clickers? Absolutely. Many people are searching for organic traffic bots or Google search bots, but the issue with that is, bots almost never work. This is not a bot, but rather a crowdsourced pool of clickers who we micro pay. NovaSolutions, one of Toronto's top SEO firms, posted a case study showing that 71% of their keywords moved up in rankings after using SerpClix.